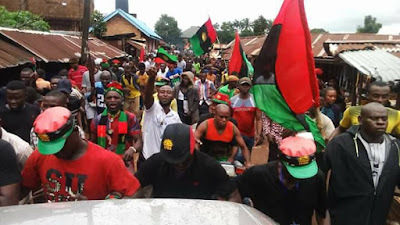 THE Federal Government may have discovered more sources where funding of the operations of Nnamdi Kanu-led Indigenous People Biafra (IPOB), going by the revelation of a top Presidency official. Minister of Information, Lai Mohammed, had last Wednesday, declared that the sources of funds for IPOB had been traced to France and the United Kingdom. But Senior Special Assistant to the president on Diaspora Affairs, Honourable Abike Dabiri, who spoke with Sunday Tribune at the sideline of the ongoing 72nd Session of the United Nations General Assembly (UNGA) in New York, disclosed that foreign sources of funds for the secessionist group were more than the two already named by government. Dabiri noted that the declaration of the group as a terrorist organisation followed a meticulous investigation by the federal government.